A U.S. federal judge says Apple is probably going to lose its court battle to force Amazon to stop using the term "Appstore" because it hasn't demonstrated any actual confusion among consumers. 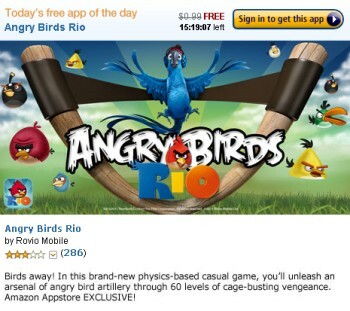 Apple brought suit against Amazon earlier this year over its use of the name "Appstore" for its new Android app store. Apple claimed that calling its app store "Appstore" infringed upon the "App Store" trademark and would cause the company irreparable damage because of consumer confusion. Amazon defended its use of the name by saying that "app store" is a generic term and thus no permission or license to use it is required. Apple sought a preliminary injunction barring Amazon's use of the "Appstore" name while its lawsuit works through the courts but it looks like Amazon is going to come out on top in this one. Judge Phyllis Hamilton said she is "probably" going to deny Apple's motion because the company has failed to demonstrated "real evidence of actual confusion." "I'm troubled by the showing that you've made so far, but that's where you're likely not to prevail at this early juncture," she added. The judge said she would review the court filings before issuing her final decision. Apple declined to comment on the comment.